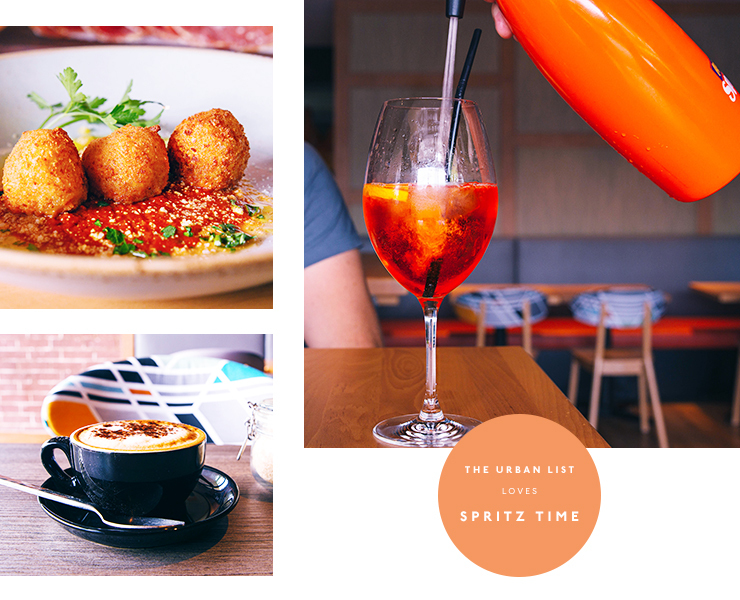 If you like the sound of a seriously fabulous Italian man with a seriously fabulous Italian accent exclaiming ‘Spritz Time’ as he puts the finishing touches on your Aperol Spritz at your table, then you’ll want to get yourself to Spritz Spizzicheria in Mount Hawthorn on the double. 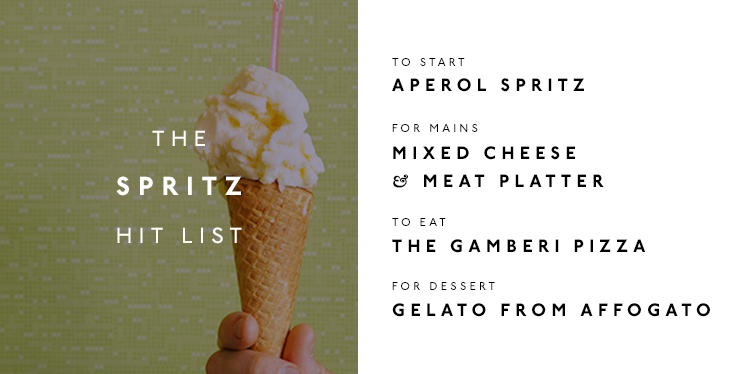 Obviously, they do a dang good Aperol Spritz—complete with a big scoop of grapefruit sorbet that tastes just like sherbet—which is served with a tasting board of delicious bread, cheese, olives and meat, and trust us when we say these two things are reason enough to go. It’s ridiculously easy to go for one spritz and realise two hours later that you’re on your third and have no plans to leave anytime soon—but if you’re after something more substantial (and you might need something after that third spritz) there’s plenty that’ll tickle your fancy! The pizzas are some of the best in Perth, with the Gamberi—garlic prawns, mozzarella and caramelised apple—and the Parma—prosciutto, rocket and parmesan—taking out the top spots IMHO. The pasta is also pretty incredible—if you were lucky enough to get to Lambretta in Nedlands back in its heyday you’ll recognise one half of the duo that used to run that as the fabulous Italian man who owns Spritz, and you’ll no doubt remember how delicious that pasta used to be! Fear not, they are just as good at Spritz, with the braised beef cheek ravioli and homemade gnocchi absolutely gnochhin’ everyone's’ socks off. 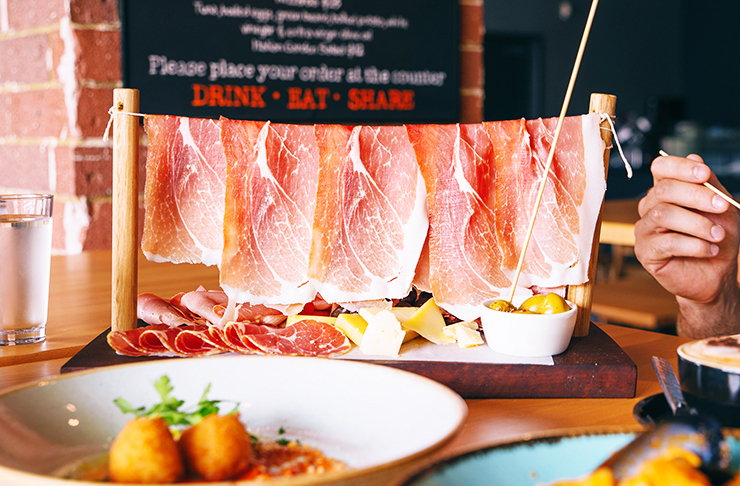 If you’re just after nibbles to go with your drinks, grab the hanging antipasto platter and some arancini and you won’t be disappointed! If for some unholy reason you don’t love spritzes as much as we do, these guys also have a pretty great wine menu and plenty of beers on offer. The space is pretty big making it great for groups, but I certainly wouldn’t say no to a romantic little date night here either. It’s kid friendly and—thanks to the abundance of outdoor tables—it’s pooch friendly too, so really, what are you waiting for?